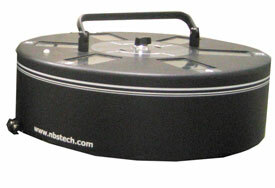 NBS ImageMaster carousel with 6 input hoppers. Each hopper holds 100 (0.30 mil) cards. 12345 NBS ImageMaster carousel is used with NBS IMX2, IMX2+ & S-18 ID card printers.